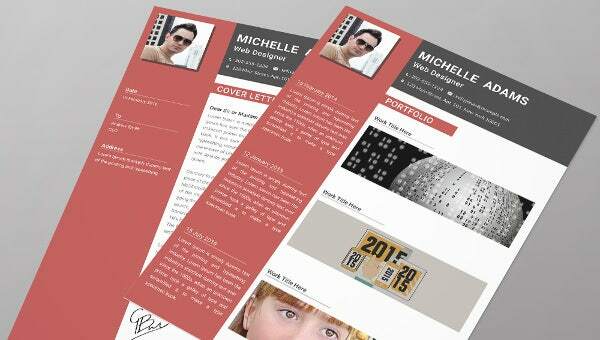 The Resume Template here is for the fresher web designers who are just out on the career scene. Along with the resume, you are getting templates for cover letters and portfolio as well. The resume comes in a peppy combo of red and white where you have your picture, a brief profile, social media links, languages & interests on the left side. The right side is for your contact details, educational qualification, technical skills, achievements, and references. The cover letter can be modified easily with your own text and for the portfolio, you can include some of the works that you have done in your college or internships.